While I was at work yesterday, my lovely lady re- posted this picture up on the internet. I'd seen it around and had wanted to see her in Batgirl type action, bringing the resemblance full circle. Then draw it already, says I to me. I started with below sketch, which is mainly based on a publicity still of Yvonne Craig (the working at my desk and covering the drawing surreptitiously every time someone came into the room.... I guess I've been doing that for years, doodling in class, at my desk, anywhere where I should be doing something else. Once I got home I scanned the above and then reprinted it in very light red, at about twice the size of the original. 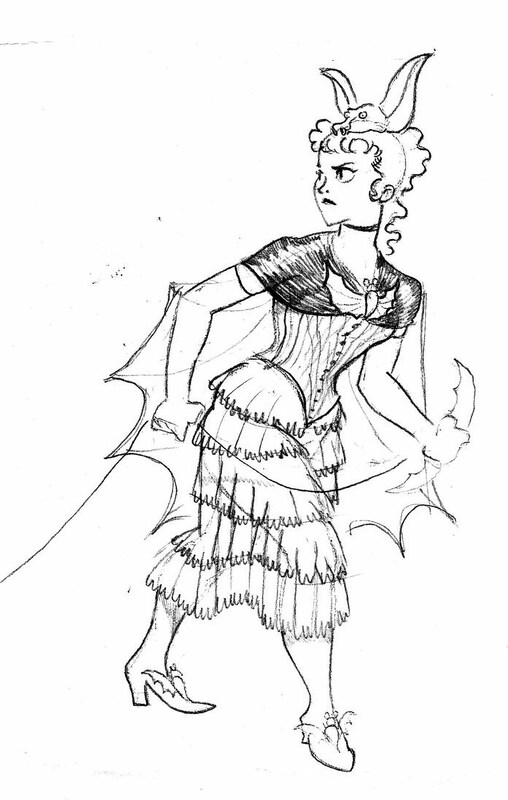 I drew over the red print in HB lead and refashioned many details. 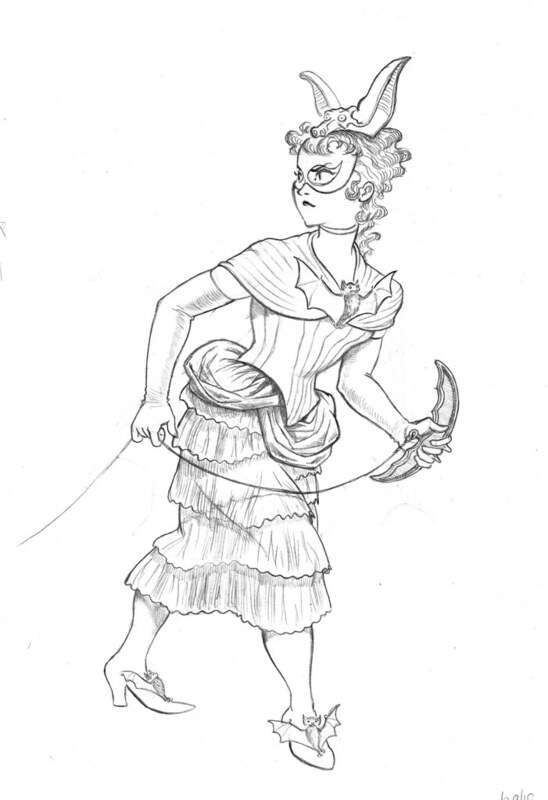 When I rescan the image I can filter out the red completely, leaving just the clean pencil lines. A lot of illustrators, especially in comics and animation, use this technique when making rough drafts, although they generally work with "no-repro" blue or red pencils. I find that the waxy pencils are frustrating to draw over, so I usually will use the manipulation technique. Which also allows me to keep a lot of the energy of a small drawing by just scaling it up. Here's the next draft. No cape yet, still trying to figure it out. The final draft will most likely include a chimney festooned Victorian skyline. 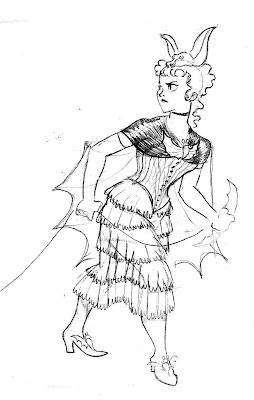 I love that in the sketch it looks like she's in corset and petticoat -- who can resist a tough chick in ruffles! 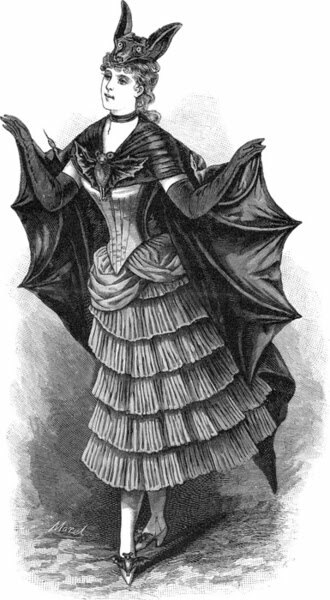 I also love that friggin' bat head hat! You kept that silly face wonderfully.